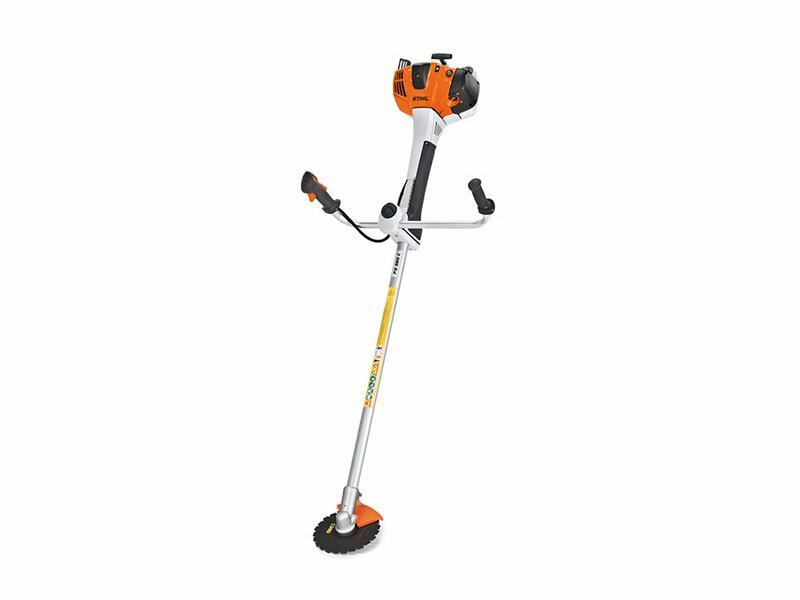 The most powerful STIHL clearing saw in its class – the FS 560 C-EM cuts through wild growth, hedges and thickets with a rugged design ideal for heavy landscape and forest cutting. Powered by a low-emission engine that is 12% more fuel-efficient than the previous model, the STIHL FS 560 C-EM clearing saw features the STIHL M-Tronic™ engine management system, which provides optimum engine power at all times and automatically adjusts to changes in elevation, temperature and air filter cleanliness. A large 33.5 oz. translucent fuel tank – 31% larger than the previous model – offers longer run times and less refueling.